Standby Security's Angelo Kakouros can help homeowners with the latest home security technology. When it comes to securing homes and businesses it’s essential to avoid gambling with protection levels. The experts at Geelong’s Standby Security can install the latest superior technology and provide ongoing service to help keep property safe. 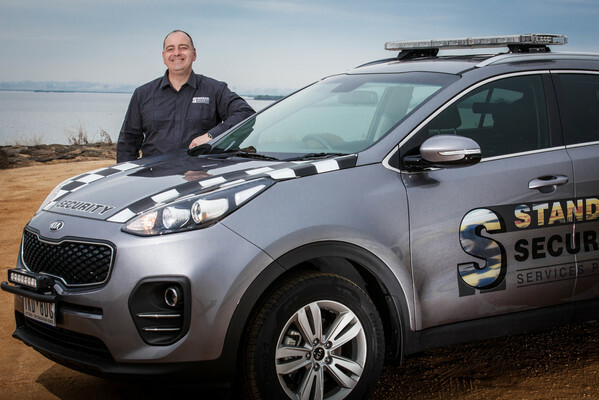 Standby Security has been proudly protecting homes and businesses around Geelong and throughout Victoria for nearly 30 years. Customer satisfaction remains the Standby’s central focus, says managing director Angelo Kakouros. “Do you know that every year there are over 225,000 reported burglaries in Australia,” Mr Kakouros said. “It is never too soon to install a security system that you can monitor from anywhere on your smartphone utilising the latest state of the art technology. “For local home and business protection, ensure your family and business is safe behind closed doors with the guaranteed superior technology and service of Standby Security”. Standby Security offers obligation-free assessments, with appointments available by phoning 5331 9258. “With three decades of experience, Standby Security offers the most comprehensive end-to-end security service available from risk management through to 24/7 monitoring,” Angelo says. More information about achieving home security is available at standbysecurity.com.au.